Padanna is one of the lesser known tourist places in Kerala. It offers everything a backwater retreat should, which makes it a great destination for a family vacation. This offbeat destination tucked away in Kasaragod district in the northern tip of Kerala, takes you far away from the hustle and bustle of city life. It is for this reason that it makes a great holiday destination for tourists – and especially Club Mahindra membership holders. Padanna was once a place for families to trade and sell their produce. This included bananas, sweet potato, tobacco, and dried fish. Eventually, Padanna saw settlements from the Malabar area, and it is now a hub for many traders. This beautiful village has been steadily gaining in popularity, making it a must-visit for tourists travelling to Kerala. Padanna’s backwaters are an untouched stretch, where tourists come face-to-face with nature. • The place has a range of activities offered by Kerala tourism. Educate your kids about the unique fishing methods adopted by the local fishermen. The womenfolk have mastered the art of collecting oysters and clams. • Taking a cruise along the backwaters is a must-do, where you can hop on to a boat and float down river Tejaswini. • Traditional practitioners of Ayurveda can be found here. There is no commercialization. Many resorts in Kerala offer Ayurveda rejuvenation therapy that is both traditional and authentic. • Padanna also offers fishing classes, where one can learn the art of typical fishing using strings, nets, or just bare hands. • For animal lovers, this itinerary includes a trip to Monkey Island, based in a 12-acre sacred grove. The uniqueness of this grove or kaavu is the centrally positioned temple. One can spot rare birds here, making for an excellent photo opportunity. • One must certainly try the local food. Club Mahindra reviews reveal that the local traditional lunch or sadyais very popular. This comprises a rich assortment of cooked lentils and vegetables, rice, and sweets all spread out on a plantain leaf. If you love seafood, clams are a local speciality. Talk about a lip-smacking experience! Kerala offers tourists a plethora of places to immerse in and a rich culture to explore, making it perfect for a family holiday. You can make your vacations even more splendid with a Club Mahindra membership, whose resorts offer specially catered experiences for all kinds of travellers. In addition to this, Club Mahindra resorts have an excellent range of facilities to make your stay comfortable and interesting. Their resorts offer spacious rooms with modern amenities such as activity centres, a gymnasium, kids’ area, multi-cuisine restaurants, and more. So plan your vacation with Club Mahindra today & have a pleasant and memorable stay at Munnar resort in Kerala with family. 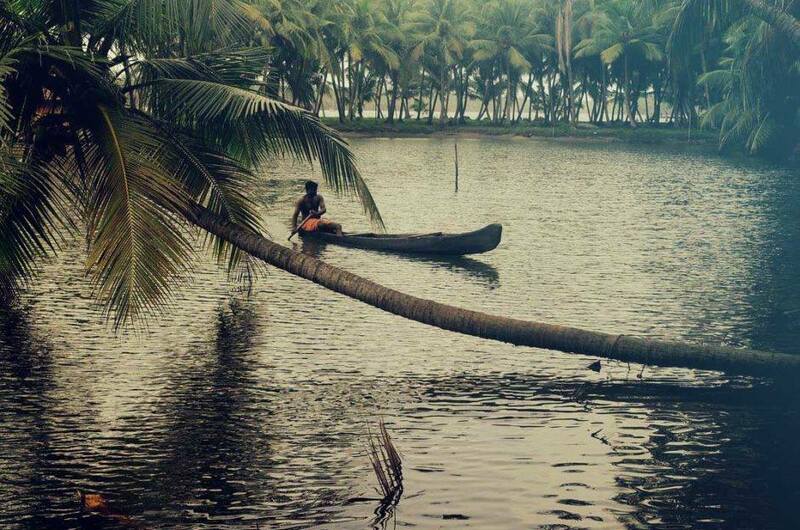 Planning to Visit Padanna Backwaters in Kerala? Then Book Now! This entry was posted in Kasaragod and tagged backwaters in kerala, kasaragod backwaters kerala, padanna backwaters kasaragod kerala, padanna backwaters kerala. Bookmark the permalink.